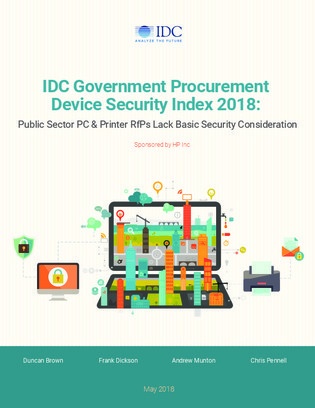 IDC conducted a study to determine the consideration given to security requirements in public sector procurement of PCs and printers (and print services). The study shows that although governments claim that security requirements are high on the agenda, this does not translate to the day to day operations of the procurement of endpoint devices. Download this report to learn more about the weak consideration scores within public sector procurement of both PCs and printers.